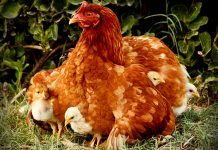 Consumer concern for laying hen welfare is leading to an increase in alternative housing systems that provide valued resources designed to cater to hens’ ethological needs. 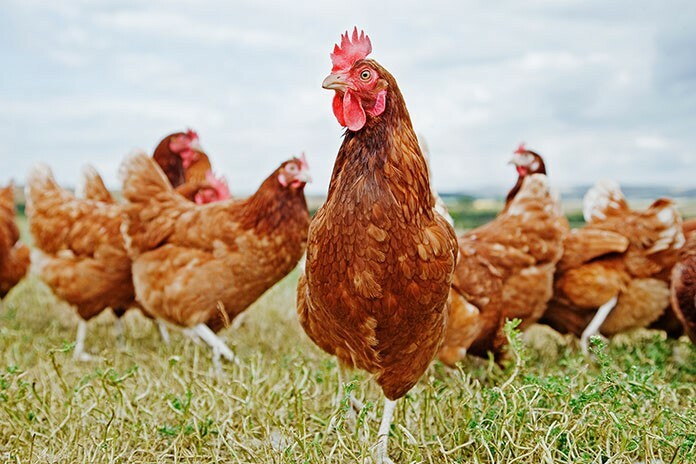 Free-range farming is growing throughout the world as this system provides an outdoor area for hens to exhibit more natural behaviour such as dust bathing, foraging and sun bathing. 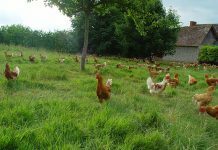 However, there is currently public debate concerning the amount of outdoor space needed to constitute the ‘free-range’ label, and concurrently, a lack of scientific data defining the optimal outdoor stocking density for improved hen welfare. Furthermore, recent evidence shows not all hens choose to access the range daily, with some hens never venturing outdoors; questioning the value of outdoor access to hens. A compilation of behavioural and physiological methods, including RFID tracking of individual hens were used to evaluate range use and hen welfare in response to three different outdoor stocking density treatments (2 replicates/treatment) in an experimental free-range facility at the University of New England, Armidale: stocking density treatment A: 2000 hens/ha; B: 10 000 hens/ha; C: 20 000 hens/ha. 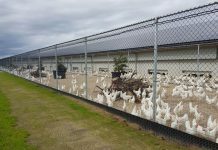 Nine-hundred ISA Brown hens were distributed evenly between six indoor pens (150 birds/pen) with an accompanying varying- sized outdoor range. 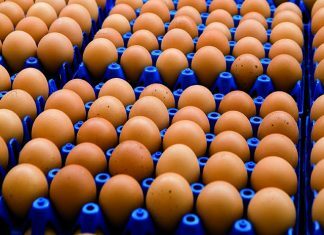 From 22 – 30 weeks, individual hens’ (50% of population tagged) daily transitions between the indoor pens and outdoor range were recorded using microchip leg bands and an RFID tracking system (Microchips Australia Pty Ltd: Trovan® technology; Dorset Identification B.V., Aalten, Netherlands). False RFID readings were filtered out using custom-built software (Bryce Little, CSIRO) to provide precise records of daily hen movements for each stocking density. All data were analysed using General Linear Models in JMP 12 (SAS Institute, Cary, NC). Results showed no difference between stocking density treatments in the average number of visits outside per day (P = 0.28), but on average, the hens in the lowest stocking density, spent significantly more time outside each day (P < 0.002). Across all stocking density treatments, hens varied in the proportion of days spent outside, from no range visits across the trial to daily range visits. The proportion of tagged birds that visited the range daily were 71%, 66% and 62% for the A, B and C stocking densities respectively. These preliminary results show some variation in range use related to range stocking density, however ongoing data collection including behaviour exhibited by hens on the range, use of the entire range area, Welfare Quality® scores of all hens, albumen corticosterone measures and production variables will provide a more complete picture of the influence of outdoor range stocking density on free-range hen welfare.